Our relationships with agents, brokers and emergency service organizations are founded on four pillars of professional support. 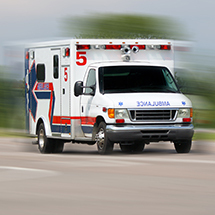 We understand the unique needs of fire departments, ambulance and rescue squads and 911 centers and lead the industry in providing the coverage they require. Learn more about our VFIS insurance program. 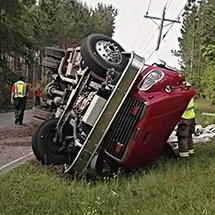 Since 1980, we have handled nearly 450,000 claims for emergency service organizations and maintain a 96 percent renewal rate over the past 10 years. We always strive for friendly and professional policy administration, as well as quick and accurate claims handling. Learn more about our claims process. 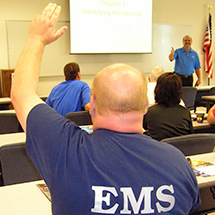 We are dedicated to being a consistent source of educational services for emergency service organizations. VFIS provides our clients with quality programs to keep up with new equipment and techniques. Our customers benefit from these programs, which are available at little or no cost. Find educational materials and training classes or visit VFISHRHelp.com. Our risk control services are provided by professionals who are knowledgeable about risk control issues specific to emergency services. We provide realistic, professional solutions for the reduction or elimination of hazards and loss-producing conditions. Visit Safety Central for valuable risk resources.